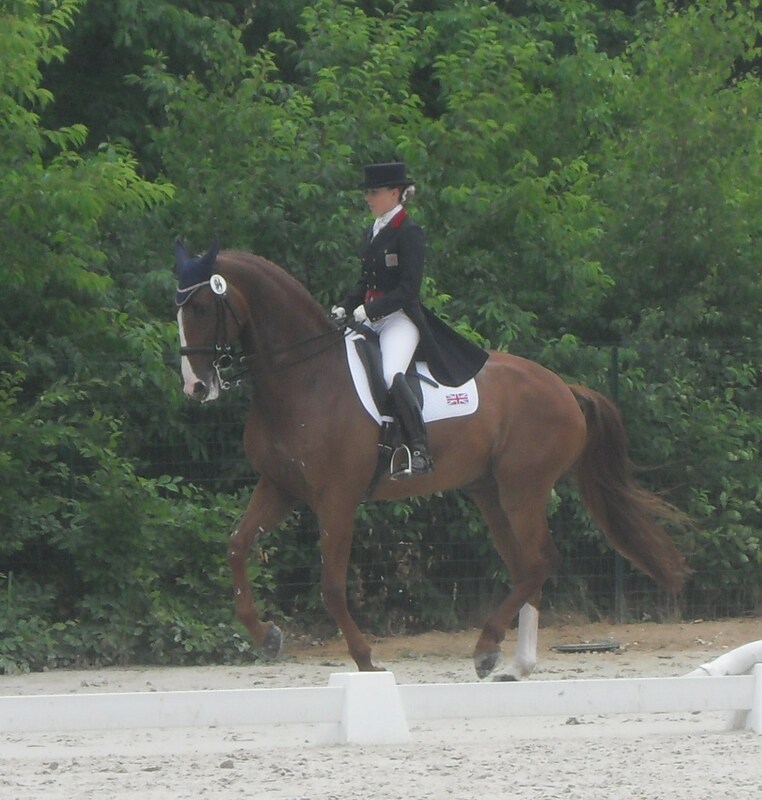 Asmar Equestiran is proud to sponsor Para Dressage Rider, Sophie Wells. Sophie is 21, and first started competing internationally in 2005 at just 15. Since then she has won many awards and is an excellent ambassador for Para-Equestrian. I was born with Amniotic Band Syndrome, which is an unusual condition of foetal development. The fibrous bands of tissue that originate from the amniotic sac encircle, constrict certain foetal areas; in my case my hands and ankles. This disease has resulted in a loss of many fingers, and has affected those that are left. The nerve damage and the restricted movement of my ankles have affected my lower legs. I ride with looped reins. I am a grade 4 Para Dressage Rider. Riders are classified depending on their degree of physical disability and range from Grade 1 to 4. Grade 1 riders have a greater degree of disability than Grade 4 and the tests reflect this in the movements that are required to be performed. I have been lucky enough to receive the help and expertise of the World Class Para Dressage programme since 2004. 2006 – aged 16, I won overall Junior & Young Rider Para International. 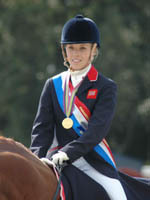 2007 – competed at the World Para Dressage Championships in 2007 as a non-medallist. 2008 – At Junior International, Hickstead, I was the first Para Rider to win an able bodied international competition. This led to me being selected as first reserve for the Beijing Paralympics. I was so excited to receive a call up, but unfortunately my horse went lame, which we later found out was due to a tumour in the hoof – he had to retire aged 8 as the operation to remove the tumour was unsuccessful. After a long search, I was fortunate to find my current horse, Pinocchio. 2009 – Pinocchio and I attended our first major championship – The European Para Dressage Championships in Norway. We won 3 gold medals! 2010 – we entered the Young Rider (able bodied) European Championships in Kronberg. I was the first Para Rider to be selected to compete for both Para and able bodied championship teams. We were the 2nd best British team and finished 22nd out of 60 riders. We then went on to be selected for the World Equestrian Games, on the Para Team. There we won 2 gold medals, despite being in hospital due to a virus 2 weeks before! My vision for the future is to compete at Grand Prix, and get onto the Senior Team one day while maintaining my place on the Para Team. Basically, I want to be as successful as possible!